NBM for May: A new Treasury of Murder set! NBM’s offerings for May are all kinds of macabre. 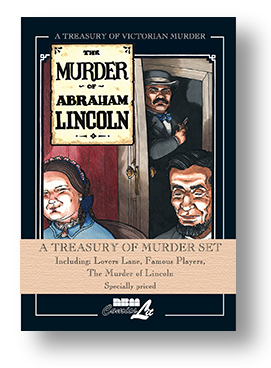 We have a new set featuring some of the best of our long running Treasury of Murder series. The set will release first in comic shops months before anywhere else! It’s a great way to jump start a collection with these carefully researched, and painstakingly accurate portrayals of some of the most fascinating murders in American history. Early release for comic shops! This specially priced banded set of hardcovers provides an engrossing, illustrated journey into true crime classics of the late Victorian era and early XXth Century, including three works in Rick Geary’s increasingly storied treasury of murder—Famous Players, about the murder of a prominent silent movie director and resulting scandal in early Hollywood, Lovers Lane, the shady date spot where the corpses of a Reverend and a respected townswoman were found holding hands, and one of the most famous assassinations in American history: the murder of Abraham Lincoln. These carefully researched presentations of true crime stories, including bibliographies of research sources, present true facts about famous murders in an entertaining fashion. Geary’s Treasury of Murder collection expands to the Twentieth century and the first “crime of the century” is the result of a love triangle turned deadly. Rick Geary delves into the lives of famous architect Stanford White, showgirl Evelyn Nesbit, and her husband Harry K. Thaw. 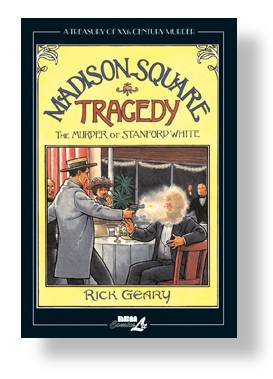 Madison Square Tragedy is available now in stores everywhere. It is also available to order in this month’s Diamond Previews. 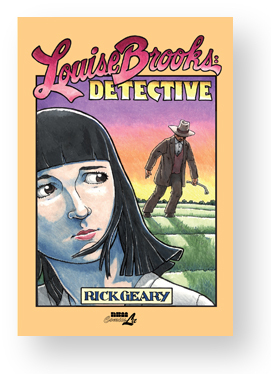 Also essential for a Rick Geary collection is historical fiction graphic novel where he reimagines his favorite film actress, Louise Brooks, recounting her time in Kansas following her break from acting. Louise Brooks, Detective is available in stores everywhere and also through Diamond Previews. For more information on Rick Geary’s NBM work, visit our website. To order, visit your local comic book store and ask for March’s Diamond Previews Magazine. Next Next post: More NBM in May Previews: Zombillenium-Ride or Die!